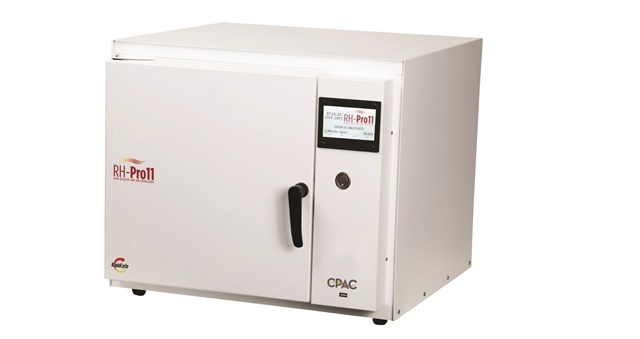 CPAC Equipment’s new RapidHeat Pro11 High-Capacity Tabletop Sterilizer has more than seven times the capacity of its predecessor. CPAC Equipment’s new RapidHeat Pro11 High-Capacity Tabletop Sterilizer has more than seven times the capacity of its predecessor, the COX RapidHeat. It features a rapid complete cycle turnaround; start to finish including warm-up is 12 minutes unwrapped or 18 minutes wrapped. “Independent tests have confirmed that the RapidHeat waterless sterilization environment does not contribute to the instrument corrosion and shortened instrument life that is seen with steam sterilization,” says CPAC Equipment president William B. Smith. For more information, go to www.cpac.com.